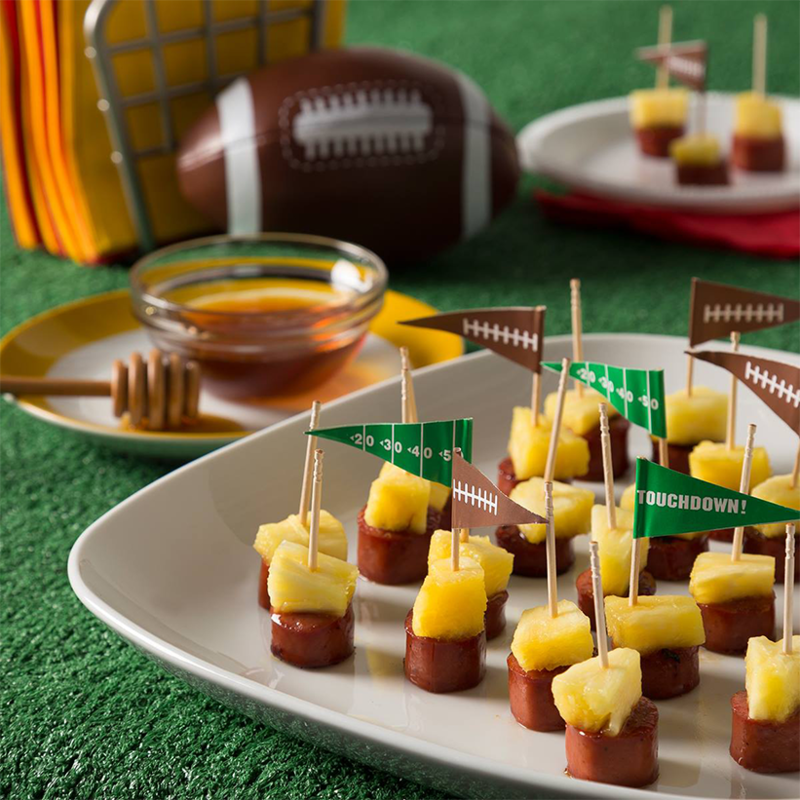 These quick and easy pineapple bites made with Gwaltney Sausage will tackle empty tummies for the Big Game. Cut the sausages into generous inch-sized slices and gently fry in a little oil on both sides until brown. Lower the heat and add the honey to the pan. Let the sausages simmer for a minute or two. Cut your pineapple chunks into bite-sized (about an inch) pieces and place one piece each of pineapple on top of one piece each of sausage and stick it with a toothpick.